We are open 364 days a year | We only close Christmas Day. 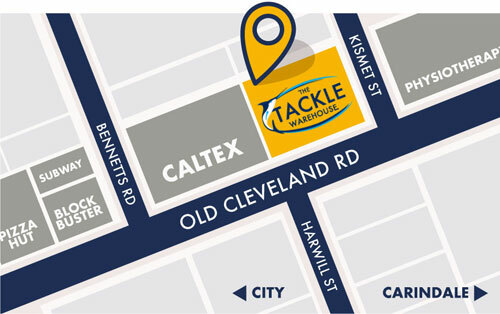 The Tackle Warehouse also has a store front in Brisbane. Visit us at 436 Old Cleveland Road, Camp Hill, QLD 4152.